First things first, you’ll need the latest versions of iOS and/or Mac OS X. First be sure you have upgraded your iPhone, iPad, or iPod touch to at least iOS 5, you can download it here if you haven’t yet. By default you get 5GB for free, but the iCloud plan prices are reasonably cheap if you require more storage. Obviously you’ll need your Mac updated to OS X 10.7.2 or later, get it from Software Update or download it here if you haven’t yet. OS X Mountain Lion includes even further iCloud integration. You can change iCloud settings at any point by going back to this preference panel. 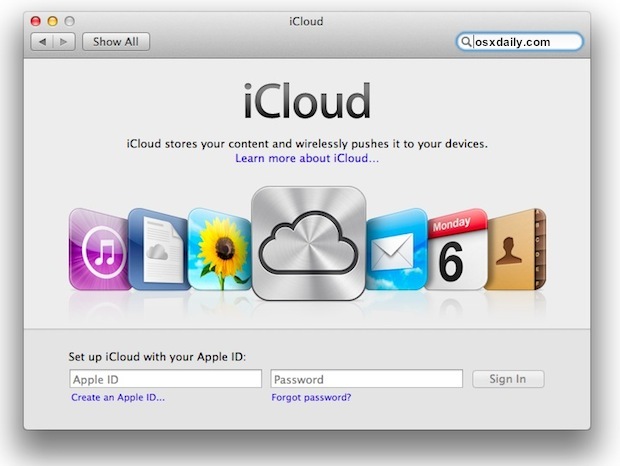 Once you have configured iCloud, you can also visit iCloud.com to use the webapps, accessing Mail, Contacts, Calendar, Find My iPhone and Find My Mac, and iWork online. Just login with your aforementioned iCloud/Apple ID and you’ll be good to go. *Setup* is a noun. The verb is *set up*, with a space. You are talking about how to “set up iCloud.” With a space. Well you may know how to use set up or setup…..but you still had to come to this page to get the ball rolling on your iCloud…..
Why is it some people insist on whining about how words are used. Who cares? Setup or set up the whole world knows what was meant. It’s because language is used to convey information. By using sloppy language, you are indicating that you don’t care about how your information is presented. Either that, or you don’t know, which indicates ignorance. (I’m not suggesting that is the case with the author of the article, just a general observation). Job…. What job??? Gotta make your own nowadays. If your ur own boss you can spell however you want to. I guess only corporate slaves have needs propa grammaz……. This is the internet as long as your point is made let those control freaks waste their time typing. I completely agree with John and Language Is Important. If you think language isn’t important in the internet, it’s your opinion, but I just ignore people who write like you do. So, if you’re trying to sell a product on eBay, I won’t buy your product. Write your advertisement in proper English or I’ll just ignore you. If you’ve got a question and you start a topic on a forum and you write like you do in the comment above, I won’t answer your question. First write your question in proper English or I won’t even bother answering. I just don’t help and don’t do business with people who think it’s cool to write the way you do. My English isn’t perfect and I’m not saying there are no errors in this reply, but that’s because English isn’t my mother tongue. Although it isn’t my mother tongue, I try my outmost to write as best as I can. I hate people who know how to write in proper English, but just don’t do it, because they think it’s cool to make errors on purpose. That’s the kind of people I normally just ignore. Even if you are self-employed and/or run your own company, you still need to be able to communicate clearly and in a way at least your customers and anyoneyou want to do business with understands. Duh. He didn’t sound like a control freak, it was just an FYI. Some day you may need to know little things like that to clearly convey yourself. Until that time, it’s nice to know even if you never use it. Wha’ you tink, eh? Who the heck is their own boss? Everyone is accountable to someone. I’m an independent consultant. I now have more bosses than when I worked as an employee. There ain’t no such animal ! At least, not on my version of ‘Lion’ – it’s called ‘Network’. Such sloppy writing is the stuff that, if discovered, gets poor performance ratings. (I’m not suggesting that is the case with the author of the article, just a general observation). The period belongs inside the parentheses. Really!?! lolol…Y’all have to much time on your hands. Just make sure YOU get it right. Haha you’re such a douche. And I spelled everything right…is my information presented well enough for you? Take those two cents where someone will actually appreciate them. I thoroughly agree with you! I am also always distressed when the American trend to start proper names with small letters spreads more and more. The english language was killed when we got computers. Also, many American school kids never learn to read or write. It is a lost cause…. perabs bicoz ist eeziar 2 onthstdan eechoda if we oll uze da seim spelhin? ? It’s a shame that you think that his is funny. I personally don’t want 10 different ways to speak English. You won’t go far in the world, making up your own language so nobody can read it. Grow up, life is not all about you!! “With a space.” is a sentence fragment. You probably know how to fix this. Waiting for iOS 5 to download zzz. I think it’s pretty ridiculous that the bloody update took over an hour to download, install, configure, and reset both computer and phone several times. I currently can’t access my apps from iTunes. When I try to click the Apps tab on the iPhone, it crashes. Also, since I’m still on Snow Leopard, I can’t upgrade to iCloud, which is incredibly annoying. Clearly, iOS has major integration, and yet we can’t access it even if our system is a few months old? But the most annoying thing is Newsstand, which can’t be deleted, hidden, or grouped into a folder. You’ve gotta be kidding!!! 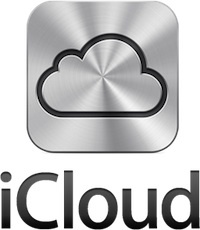 There is speculation that a theoretical OS X 10.6.9 will include iCloud access but there is no confirmation of this. Newsstand IS a folder and therefore cannot be put into another folder. That’s why one cannot hide it. The update (for me) took less than 25 mins and both iTunes and my iPhone are working and syncing using iCloud. Actually, you can put Newsstand into a folder. I have it in my junk folder, with all the other mandatory apps I don’t use. While creating a folder with 2 apps (not Newsstand), quickly grab the Newsstand app and drag it into the folder while it’s still creating. You have to be quick, but it works. Try it! Just drop the $30 and get a new operating system already. Geez. some of us can’t afford to upgrade, not because of money but because we are running too many 3rd party apps which would be obsoleted by lion. in my case this is about 100 audio plugins. (AU) this is a problem for me and I hope the rumors that 10.6.9 will be supported are true. otherwise I guess I’ll just have to buy an entirely new computer just to put my pictures on. Like one of those huge screen iMacs for the living room. YEAH! I’m gonna go get one right now! It keeps saying my login is wrong even though I know it’s right and it works in Itunes. Anyone else getting this? Same here – can sign in on icloud.com, Apple Store, iTunes, etc, but won’t let me sign in in my preference pane. Same problem I keep getting “This Apple ID is valid but is not an iCloud account.”… right, thats why I am setting it up iCloud. Try verifying your E-mail, that worked for me. Cannot receive verification e-mail for iCloud–any suggestions? I have reset my password and still no luck. Any suggestions on how to log in. I also cannot receive the verification email from iCloud. Same problem, anyone ever find a solution? When you set up iCloud, you get a free me.com email account. iCloud automatically pushes new email messages to all your devices, so your inbox is up to date everywhere you check it. And iCloud keeps all your folders in sync, no matter which device you’re using. Do I need to use a me.com account to be able to keep my email in sync? Isn’t iCloud able to keep email from my-isp.com or my-company.com in sync? How about getting that me.com account? Is this only possible from a device with iOS 5 or Mac OS X Lion? I don’t have a device running iOS yet, although I’ll be buying an iPhone 4S next month. I’m still running Snow Leopard on my MacBook Pro, but next month I’ll buy a MacBook Air with Mac OS X Lion. Apple already stated that you can’t delete photos from PhotoStream. They will be purged eventually, like 30 days I think it was said. So those pictures of your taint that you took are gonna be there for a while. Stupid? Yes. Truth? Yes. I’m too lazy to find the support for it. I’m sure you can use Google or search Apple’s forums. Settings: iCloud: Photo Stream Off. Make sure you save the ones you want to keep. I asked the same question and answered myself, its only keeps the @me contacts, calendar and mail in sync. I’ve been doing that for years and years with my @gmail and google apps for business accounts. That part of iCloud is nothing special i don’t think. Wait…So Vista users can use Photostream, but Snow Leopard users can’t? And is it only the most recent version of iPhoto that is supported as well? How do I get iCloud to sync all my documents automatically between my Mac and iPad? Is the only option to visit the stupid icloud.com/iwork site and do it manually? I have the same question. Have you had any luck answering it elsewhere? If you use iWork it does this. I too am getting the “This Apple ID is valid but is not an iCloud account” message when trying to sign into icloud. I also tried using my me.com account instead of my apple ID, and it fails saying this is not an apple ID. This question has been posted several times, but I have yet see an answer. You may have to re-validate your Apple ID. How do you re-validate your apple id through that link? I just updated iTunes and Lion. My iTunes account will NOT open on any computer or device and says that it does not recognize my ID or Password. When I go thru the whole “reset my password” routine, I’m supposed to receive an email to verify. Never comes. Not in Spam either. Separate from iTunes, iCloud will NOT send the verification email either. Apple told me that all I could do is send an email to explain and ask for help. Said it would be 24-48 hours. Yippy. I’m having the same problem, did you ever find a solution? iCloud is a complete snow-job. No matter what I do, it does not work. Cosmicfrog…you’re awesome. You’re quick-finger act hid Newsstand for me on my iPhone. Thanks! Sorry to ask the same old questions but Im relatively new to all of this. I have set up iCloud on my iPad and iPhone and downloaded lion to enable it on my mac. I predominantly want it to sync all my mail and contacts between my devices but my mac seems to want me to set up an iCloud mail count (then I guess use the other mail accounts via that). The problem is, i read a lot about iTunes getting confused by having one ID for this and another for iCloud. Is it absolutely necessary to have an iCloud email to make the other email accounts sync please? no, you don’t have to have an iCloud email for syncing. You can use any of the email providers and your email will sync if it is set up properly. 5.1.1, does nos recognize my password. iCloud wants secure passwords, you probably need to go through the process of setting up a secured password for the Apple ID. I am not able to set up iCloud on my iPad, it tells me the maximum number of free setup for this device has been exceeded. What do I do?